Microsoft has moved to reaffirm its willingness to have consumer Xbox One consoles double up as software development kits, contrary to reports earlier Wednesday. The company released a statement claiming it is "committed to ensuring the best possible solutions for developers and hobbyists to create games for Xbox One." 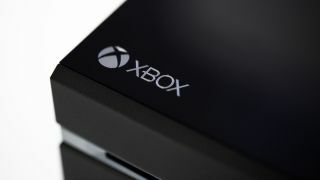 The assurance comes after Xbox Advanced Technology Group's Martin Fuller reportedly told an audience at the Develop Conference that's going on in Brighton, England that the plan to have retail consoles also serve as developer units was off the table. "The comments today were not accurate," the Microsoft spokesperson said. The rebuttal from Microsoft keeps alive the dream to democratise the process of creating video games for the company's next-gen console. Any such move from Microsoft would lower start-up costs for would-be developers, allow hobbyists to create more indie titles and close the perceived gap with the PS4 when it comes to smaller studio titles. When will it happen? Well that's still not clear. "We will share more details at a later date," says Microsoft.